Unit can be run 24/7 even in rooms during the “dark” hours of the growth cycle of the plants. Exceptional long life for both lamp and power supply. Greater than 30,000 hour expected life of lamp. 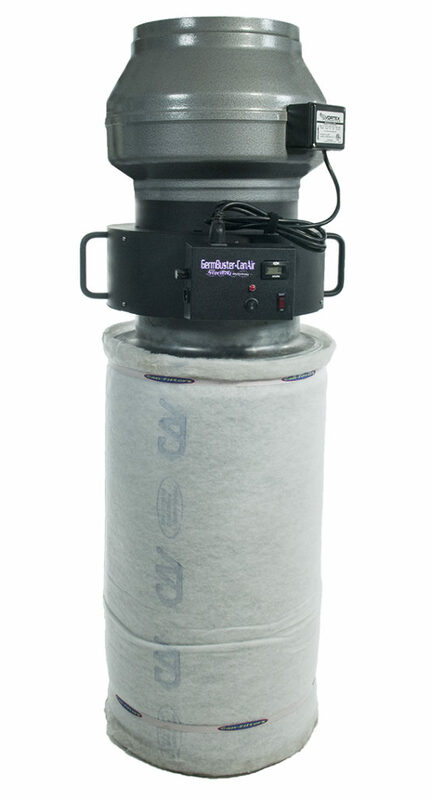 Effective air recirculation after 2 years continuous use. First and only method of “kill-on-the-fly” disinfection. Achieves 99.98% in 0.8 seconds on some microbes. 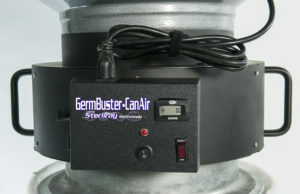 Fits 12″ flange with adapter rings available. 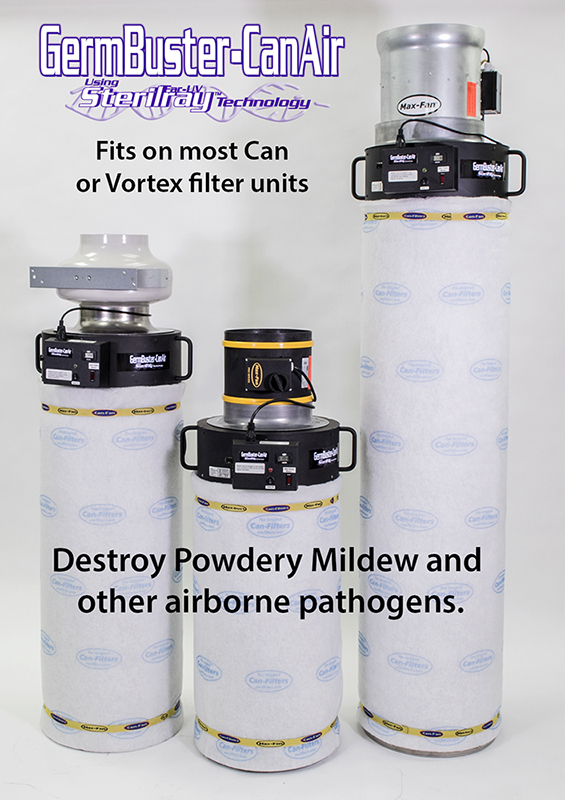 MOST UV PRODUCTS DEACTIVATE PATHOGENS … FAR-UV DESTROYS PATHOGENS. Far-UV Sterilray™ is a new Far – UV technology that is up to 1, 000 times more effective than germicidal UVC. 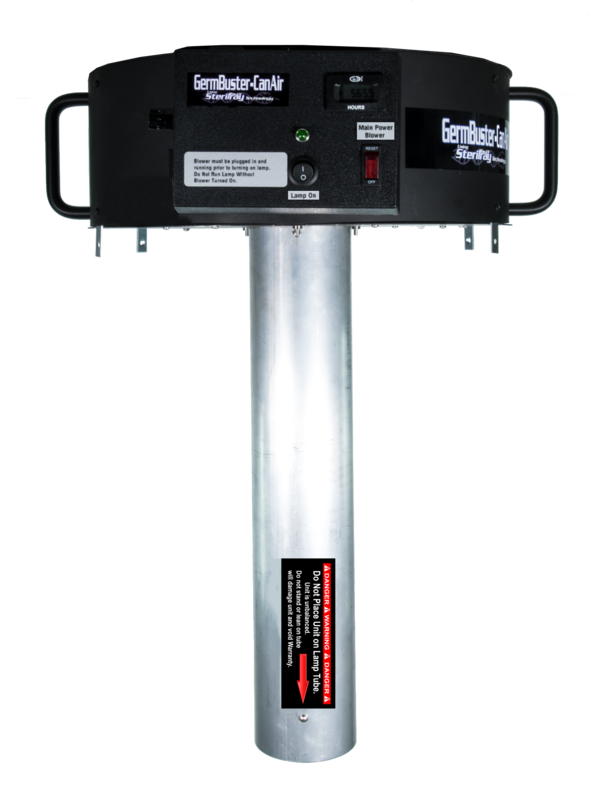 Far-UV Sterilray™ GermBuster-CanAir units are designed specifically for commercial applications and utilize the proven Far-UV Sterilray™ technology necessary to safely and effectively treat grow rooms 24/7.